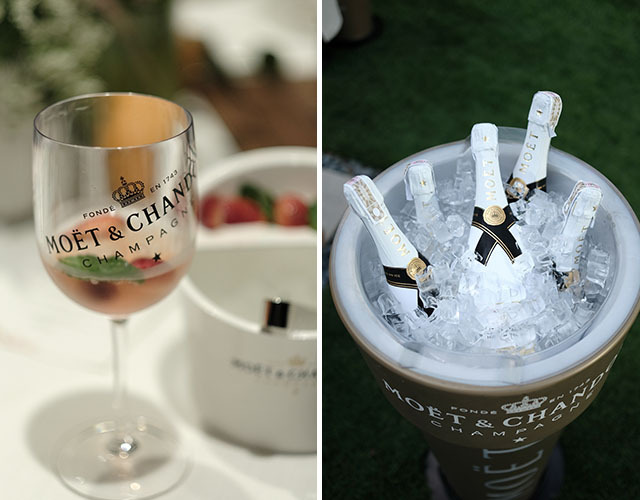 It's sunshine and sunsets on ice. 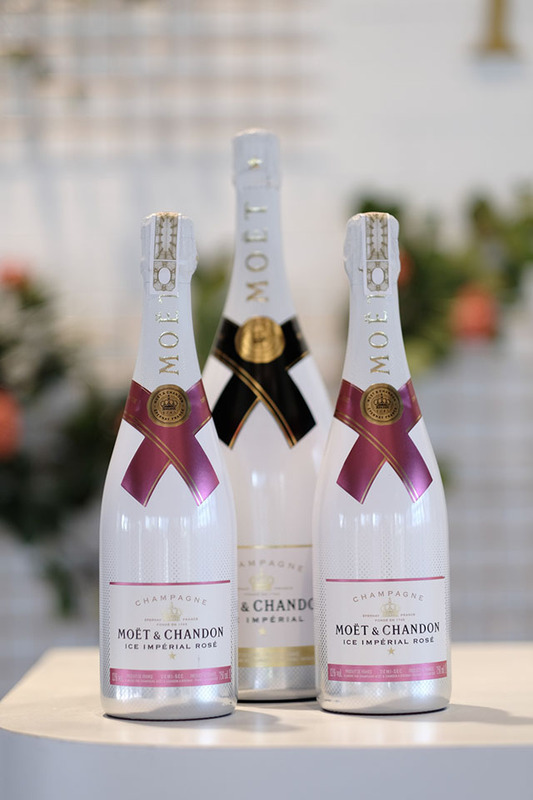 Vibrant and fruity with a clean crisp finish, the new Möet Ice Imperial Rosé, from the historic Champagne house Möet et Chandon, is a welcome addition to the brand's unique range of trendsetting sparkling wines. 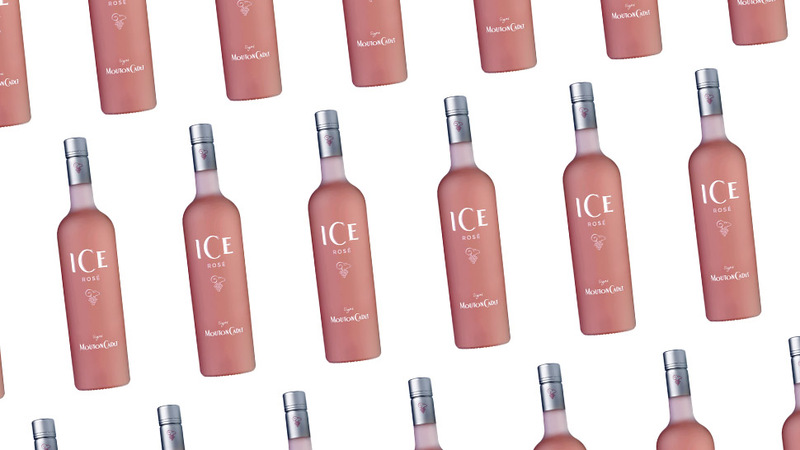 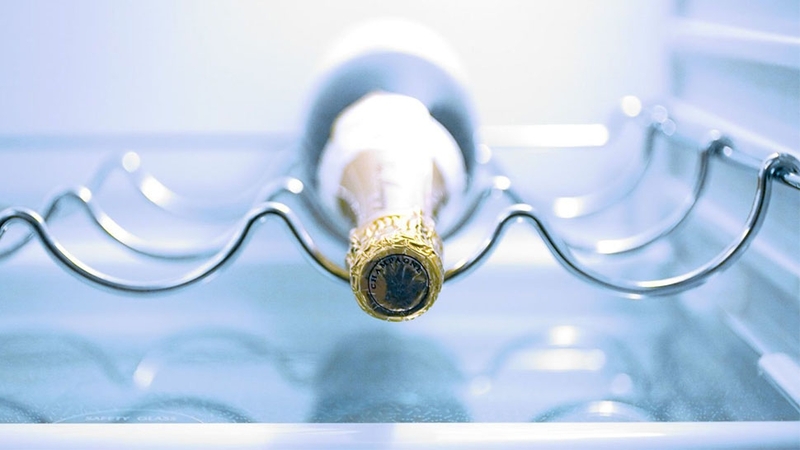 Similar to its predecessor, Möet Ice Impérial, first launched in 2011, this rosé Champagne is the perfect summertime aperitivo and pairs well with popular cocktail canapés and finger food. 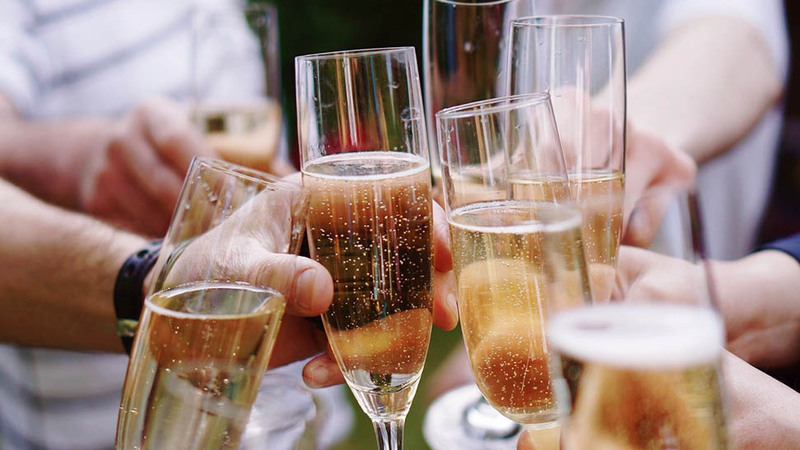 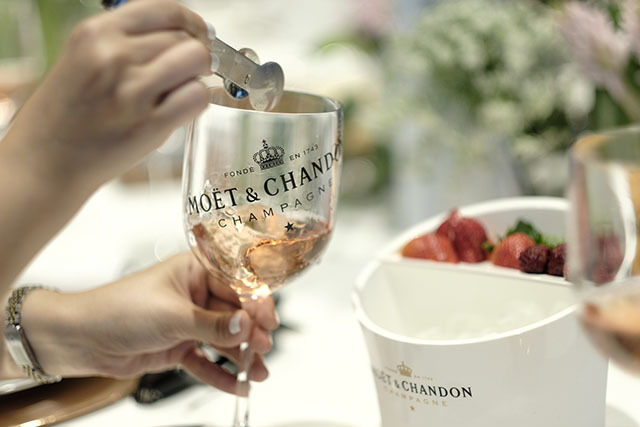 The first rosé Champagne created with the exclusive intent to be enjoyed over ice, its vivid pink hue, fruit-forward bouquet, and refreshing effervescence, are best appreciated when served in a large, cold wine glass with slices of seasonal summer fruit and berries. 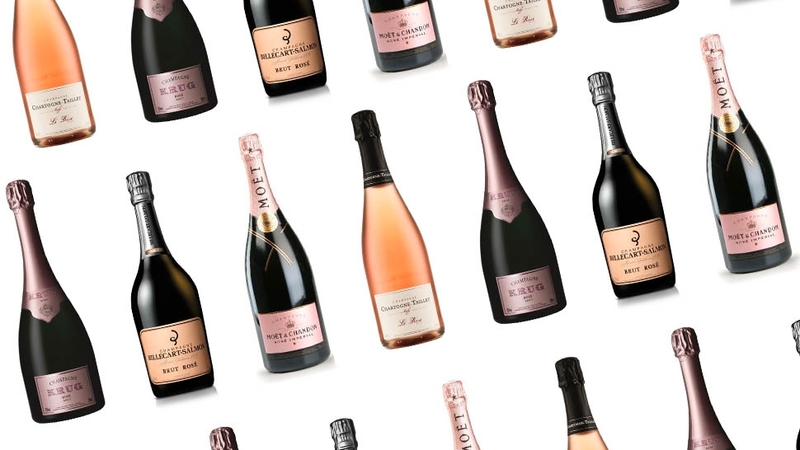 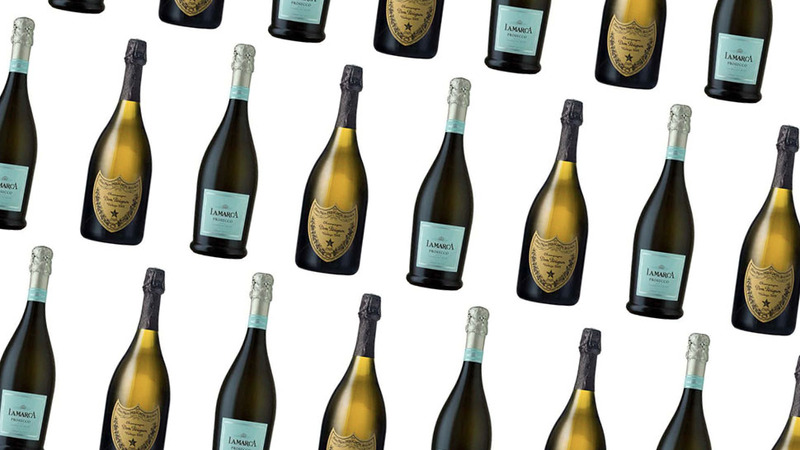 Made from a similar blend of pinot noir, pinot meunier, and Chardonnay grapes, and with a higher dosage than most Champagnes, the result is an elegant balance of fruit and structure. 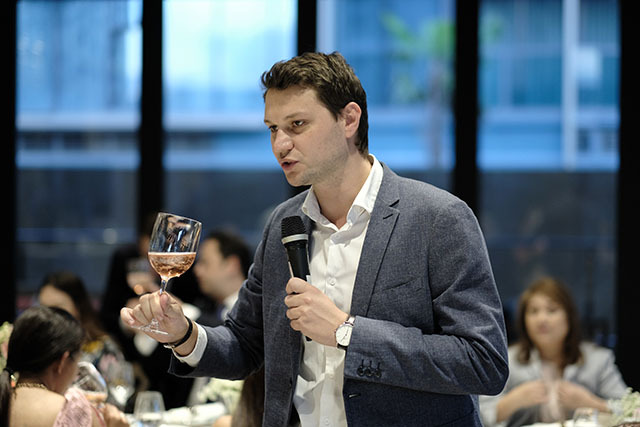 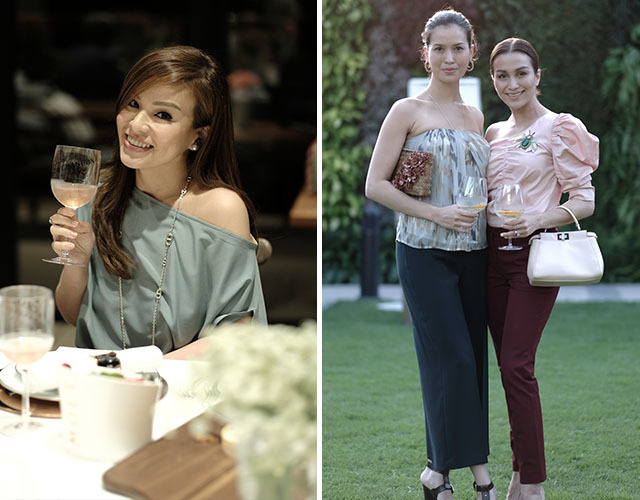 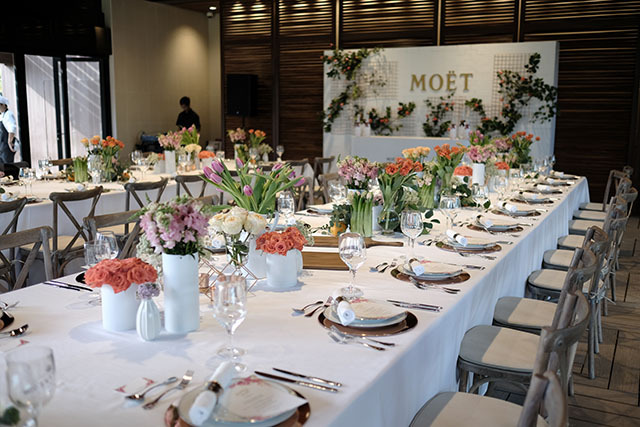 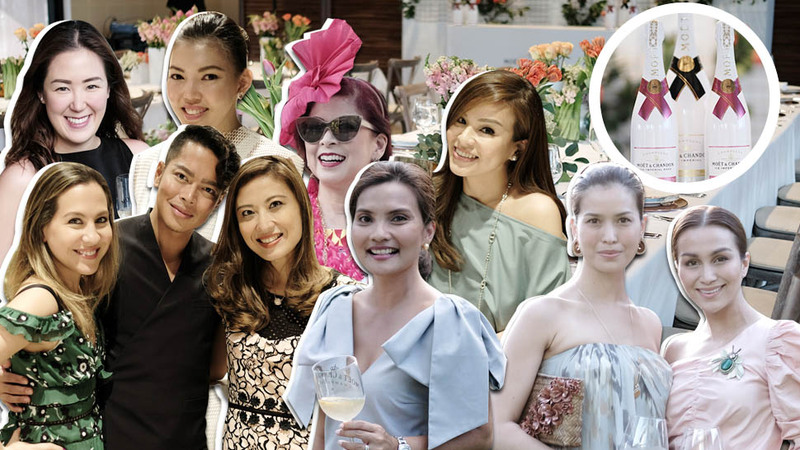 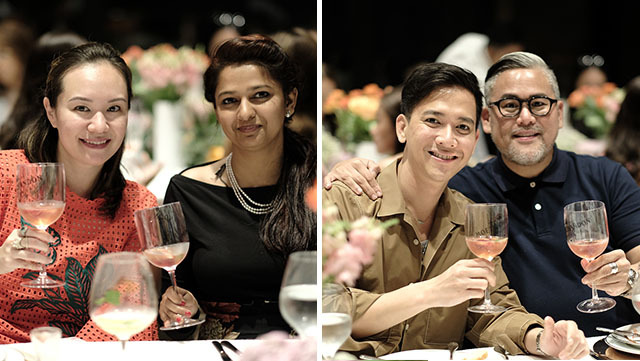 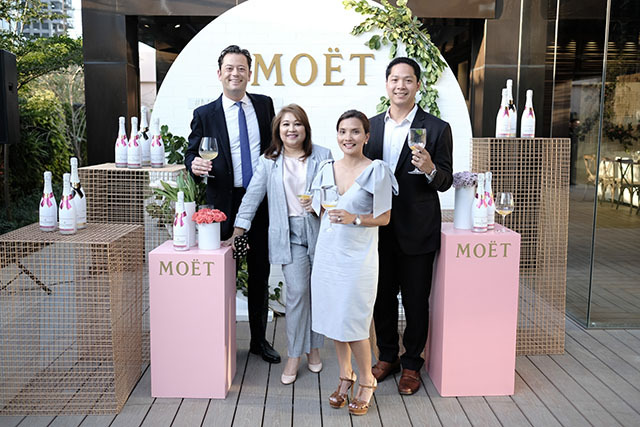 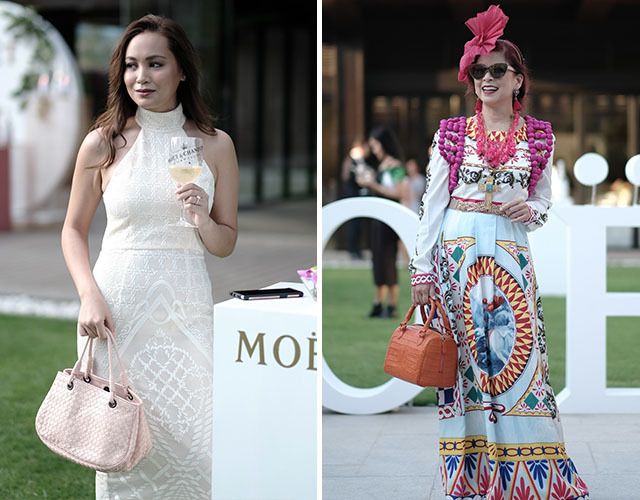 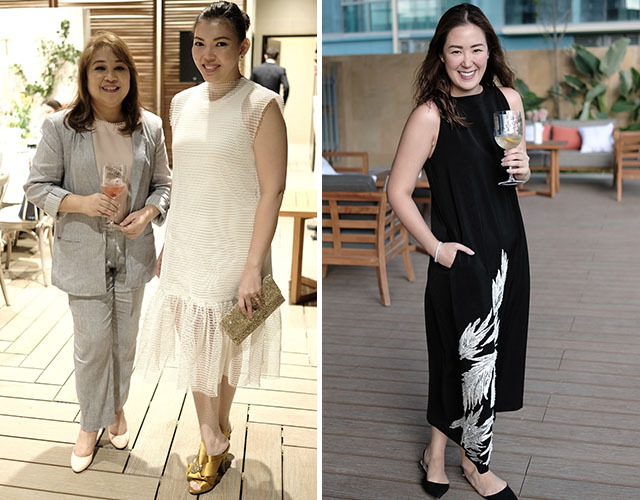 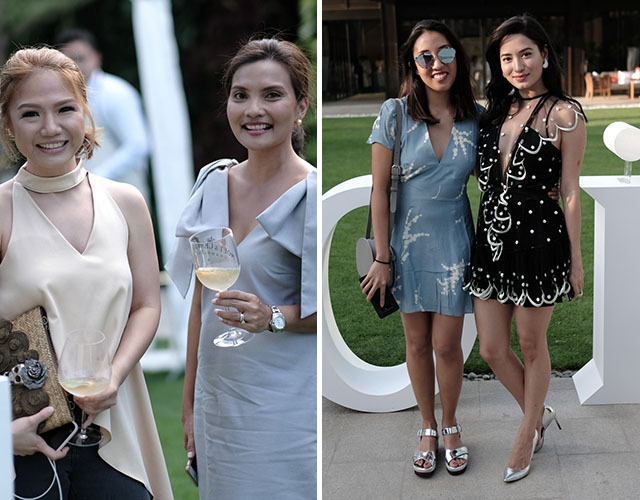 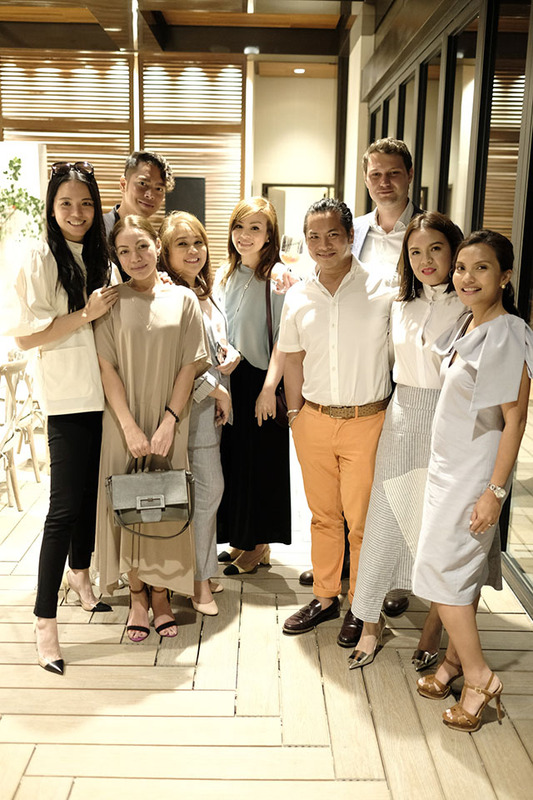 To celebrate the arrival of Möet Ice Imperial Rosé in Manila, a summer soirée was held at the al fresco Garden Pavilion of the new Grand Hyatt Hotel in Bonifacio Global City. 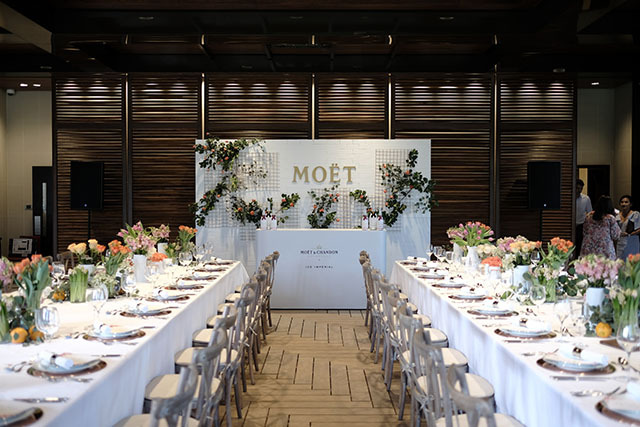 Guests enjoyed their first taste of Möet Ice Imperial’s rosé expression along with a pre-dinner spread of lobster, foie gras, and a selection of fresh and baked cheeses that highlighted the distinct characteristics and nuances of the new Champagne.